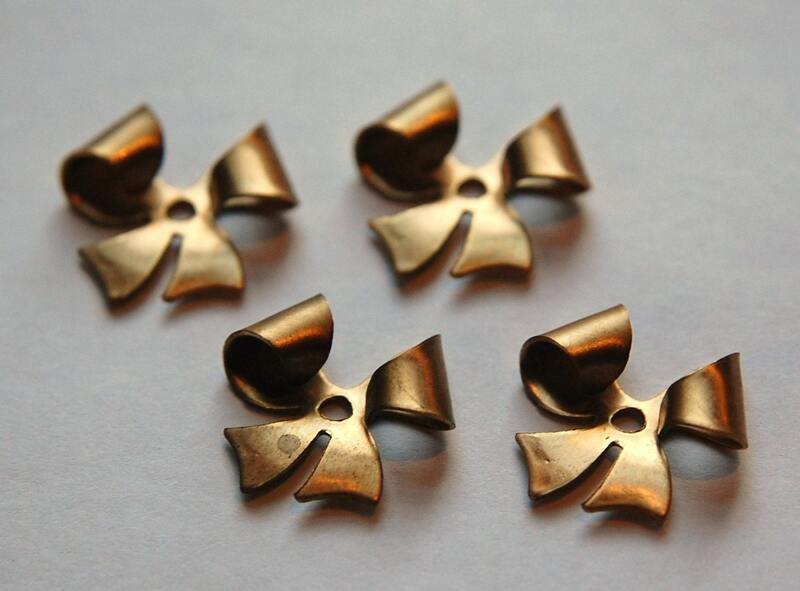 These are vintage raw brass bow findings. They have a space between the loops that you could set a stone or you could use the hole to attach them with a jump ring. The size would also be great for earring bases. 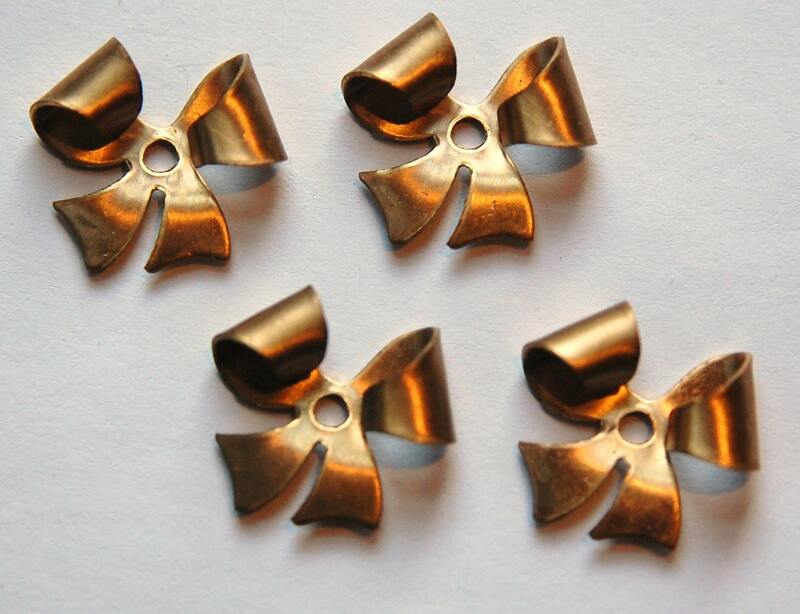 These measure 18mm wide X 15mm high. You will receive 4 pieces. ♡ AWESOME! fast shipping, wonderful products as always!